The Overproof is the centerpiece of our dedication and commitment to making the best Rum we can! You simply have to try this new Overproof either straight or in one of your favorite Rum based cocktails. The flavor and the strength make this unique Rum, simply irresistible! 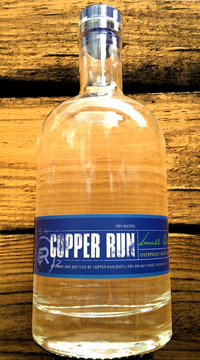 Overall: Heavily influenced by the Caribbean style Rum, the Overproof is the real deal! Bold and flavorful, it instantly wakes up your senses. This is the mystery/secret ingredient behind many great cocktails.